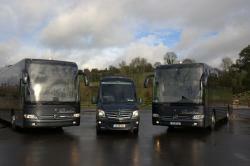 We are a family run business with over 35 years in the coach business. 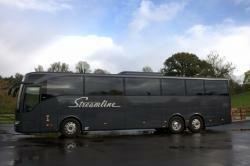 Streamline are the only coach company in Ireland with an entire fleet of Mercedes-Benz coaches, with all our coaches built to exceptionatl specifications and maintained regardless of cost. 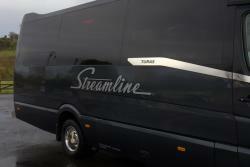 Streamline are ready to go wherever you want, whenever you want. We’ll meet the earliest plane, boat or train. Transfers, sightseeing, business trips, day-trips or extended tours – you name it, we’ll do it. With over 35 years of success, Streamline Coaches have the people, the skills, the experience, the infrastructure, the vehicles and the financial resources to run our coach company exactly the way a coach company should be run. Our expert drivers are all fully trained in eco-friendly driving and customer relations. Therefore your journey is planned by professionals with years of experience. We have offices and depots in Dublin and Cavan. 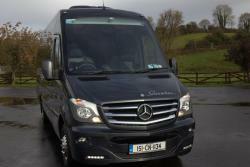 We also have a fully fitted maintenance facility in Cavan and Dublin which enables us to keep our fleet of Mercedes-Benz coaches in excellent condition. For our customers this means top quality service in every respect, with comfort, safety and value for money our top priorities.